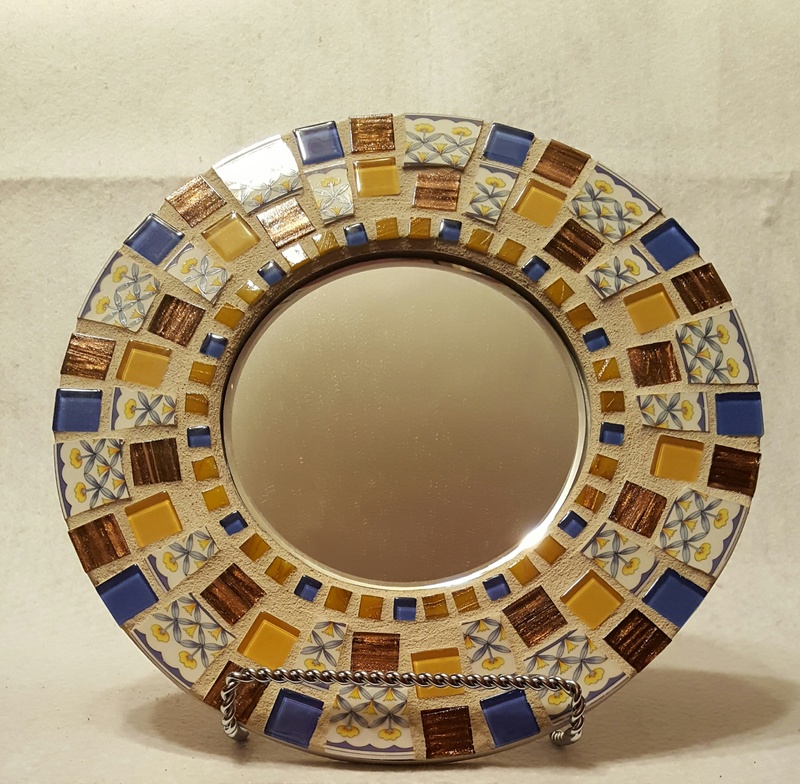 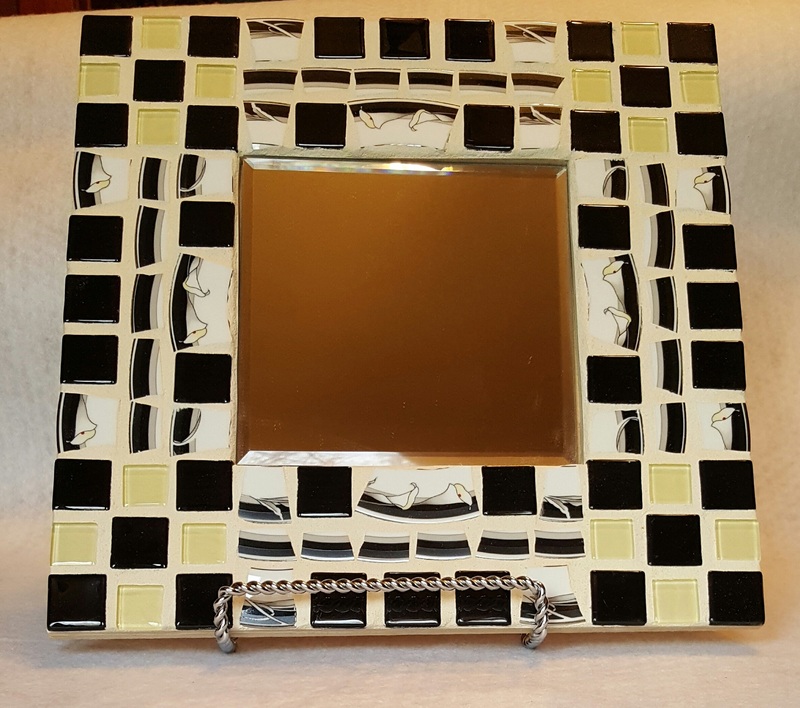 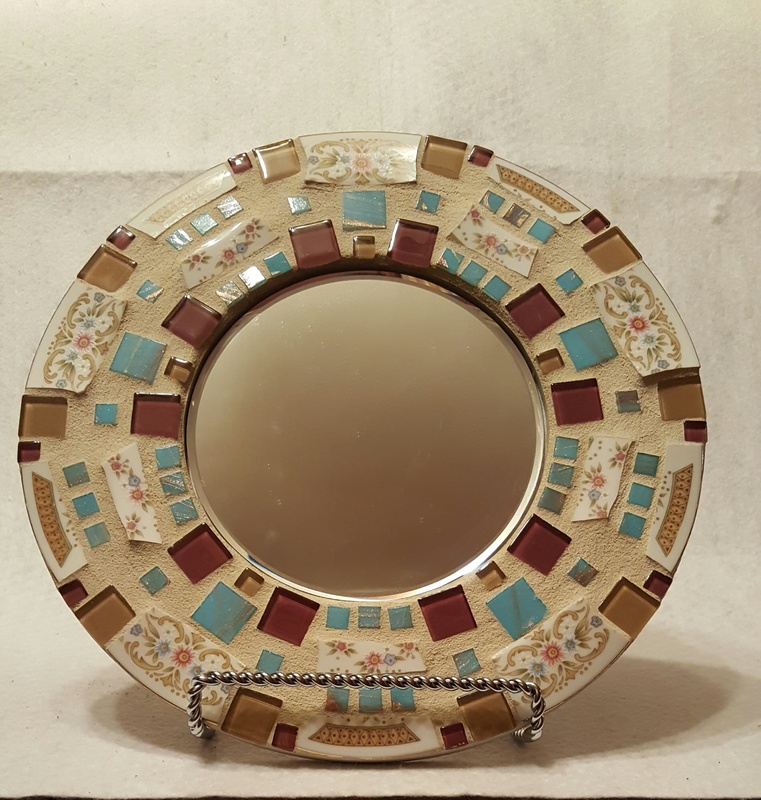 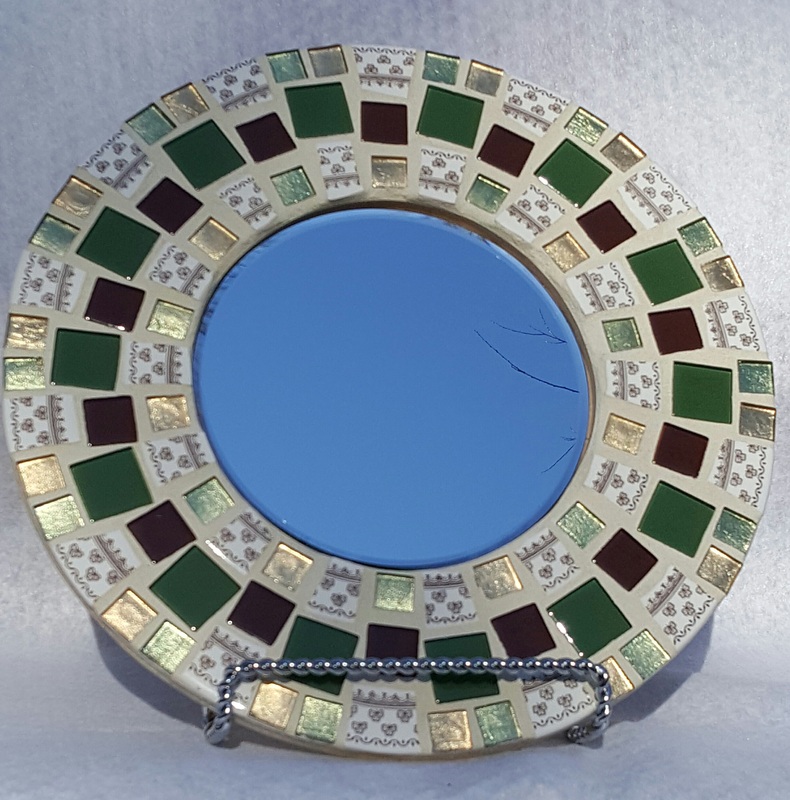 Denise Cardinal makes mosaic mirrors, jewelry and more from reclaimed china and glass tiles. 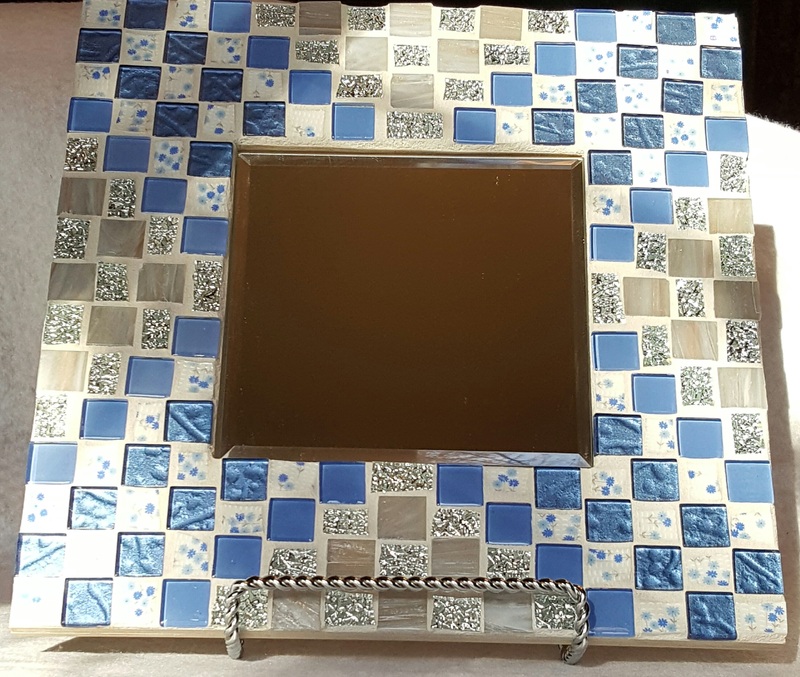 “I love bringing out the beauty of old dishes by combining it with glass tiles,” she says. 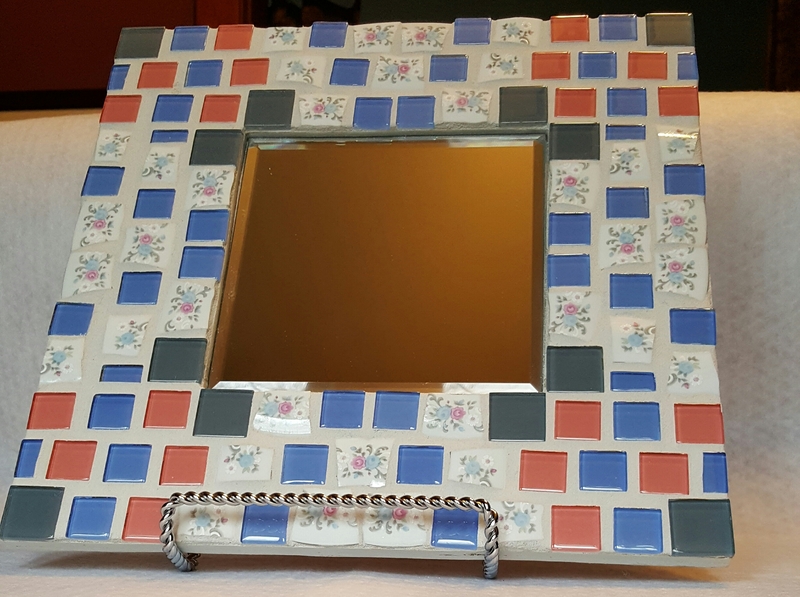 “If you have old dishes and would like me to make you something, just contact me.” Every creation of Denise’s is unique and one-of-a-kind. 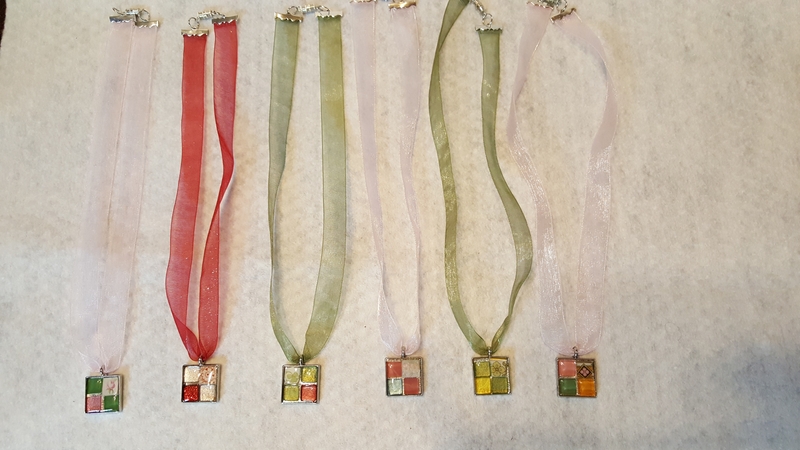 Check out her other designs on Etsy under RevivifyArts.